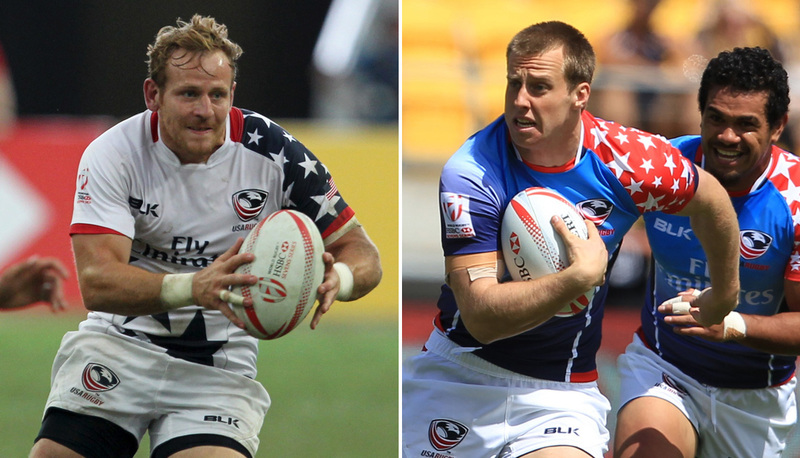 CHULA VISTA, Calif. - Two Team USA Olympians from the Rio 2016 Olympic Summer Games have been called back into the Men's Eagles Sevens squad for the March 3-5 HSBC USA Sevens in Las Vegas. Ben Pinkelman and Maka Unufe are both fit for the fifth leg of the 2016-17 HSBC World Rugby Sevens Series, while Carlin Isles will undergo knee surgery that will keep him out of the squad until the start of next season. Head Coach Mike Friday will also hand Walt Elder his first Series cap following the Kansas City Blues player's performances at the 2016 USA Rugby Club 7s National Championships and in High Performance Camps at the Chula Vista Elite Athlete Training Center. The home leg of the Series for the Eagles - currently ranked eighth in the standings - will kick off Friday, March 3, following a slate of pool games from the HSBC World Rugby Women's Sevens Series tournament inside Sam Boyd Stadium. The U.S. begins its Pool B campaign against Samoa at 8:37 p.m. ET, with all of the men's matches available to stream live in the United States via NBC Sports' digital platforms. "These next two legs will define the season," Friday said, referring to USA Sevens and the following weekend's HSBC Canada Sevens event in Vancouver. "The squad have got their head down to ensure that we represent the country in the best way we can in the circumstances. We have battled hard to be where we are and if we can be successful in these next two legs - if we can remain healthy as a squad - we can hopefully kick on for the rest of the season and maintain USA as contenders on the Sevens Series." Last seen on the circuit in Singapore, Pat Blair spent the fall with several of his fellow USA Sevens selections on the XVs Eagles' November Tour in Chicago, Romania, and Spain. The current San Diego Old Aztec was in Las Vegas last year as a member of the USA Falcons developmental squad that competed in the Las Vegas Invitational. His play there, where the Falcons won the Americas Cup 7s Division, earned him a call-up to the Eagles for the Canadian leg of the Series. Pinkelman was the youngest member of the Rugby Sevens Olympic team in Rio de Janeiro last summer, but played a vital role in every game for Friday's squad. Following his return Stateside, the Colorado State University student athlete - now a graduate - underwent shoulder surgery, missing his club's fall campaign. Last time out on the Series - in his seventh tournament of the season - Pinkelman scored two tries at HSBC London Sevens, including one against Rio 2016 gold medalist Fiji in a Bronze Medal Match triumph. The forwards are bolstered by the selections of Danny Barrett, Andrew Durutalo, and Matai Leuta, who have played in all four of the season's legs to date. Barrett was the only American selection to the HSBC Wellington Sevens Dream Team with four tries to his name in six matches, and was a main factor in the Eagles' sixth-place finish. Elder could give his forward teammates respite coming off of the bench in Las Vegas in what will be his Series debut, having impressed the coaching staff throughout his time at the Training Center and with the Falcons on their recent South America tour. "Pinkelman is now fully fit and will bring both energy and further rugby intelligence to the forwards," Friday said. "Walt has been with the team the past six months, working hard to earn an opportunity. He has done well on a couple of development tours and brings a real physicality and a high work ethic to the squad." Though Isles' two-leg return to the Series was short-lived, he filled in for an injured Perry Baker at crucial times of both the Wellington and HSBC Sydney7s tournaments, recording six tries in 11 matches. Held out of most of the fourth leg in Australia for precautionary reasons, Baker is still the U.S.'s leading try-scorer on the season with 13 finishes. Barrett (11), Martin Iosefo (8), and Stephen Tomasin (10) are behind him. A dynamic midfielder capable of acceleration like the Eagles' speedsters, Unufe has made himself available for selection for USA Sevens with improved fitness levels built in Chula Vista. He and Iosefo will complement each other with strength and skill in possession. Captain Madison Hughes will lead the team out of the tunnel at Sam Boyd Stadium, followed closely by Folau Niua. Niua has represented the U.S. in each of the past six Las Vegas-hosted tournaments since his international debut during the 2011-12 season. Hughes, who was not available for the Cape Town leg of the Series in December, is still the Eagles' leading points-scorer with 86 points after a 2015-16 campaign in which he led the entire Series with 331 points. The Eagles have already taken two wins from two against Samoa this season, and will have the chance for a third first-up at Sam Boyd Stadium Friday. Sudámerica Sevens qualifier Chile's first Series appearance since 2009-10, when it was a then-Bowl Semifinalist at USA Sevens, sees Los Condores drawn in Pool B. They will finish Friday's schedule against the Eagles at 11:36 p.m. ET before pool play concludes for Friday's squad against England Saturday at 6:24 p.m. ET. All matches of the tournament can be streamed live via NBC Sports' digital platforms, while live match updates from Sam Boyd Stadium will be provided by USA Rugby's Twitter account (@USARugby). For more information on HSBC USA Sevens, ticketing information, and the Las Vegas Invitational, visit the USA Sevens Rugby website.